Jumpstart your day (and shower) with positive vibes! This giant 9 ounce bar is vegetable-based and made locally in Rhode Island with violet extract and certified organic Aloe Vera Leaf juice. One side of the bar says HOPE, the other BE FULL OF IT. Letters turn white once you lather up (cool)! Be full of hope, it will brighten your heart. 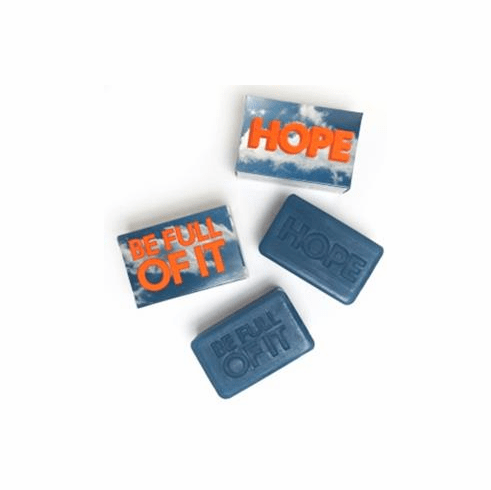 Shower with the Hope Soap for a daily fresh start. Hope, be full of it!